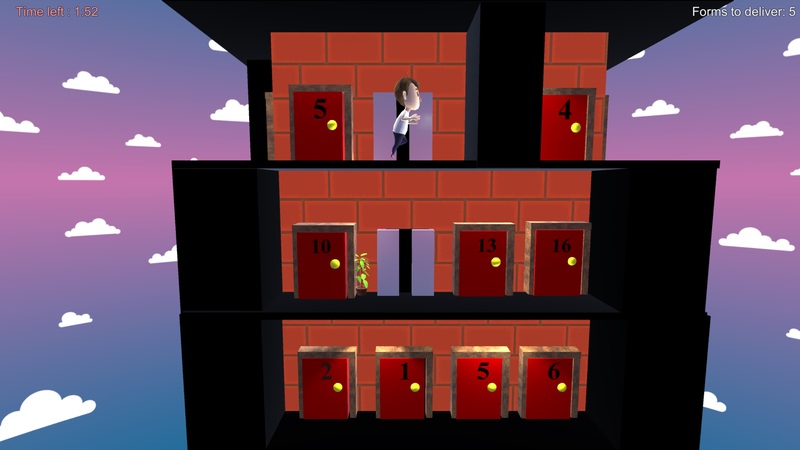 Ministry of Random Doors is a little logic and perspective puzzle game made during the 2018 edition of McGameJam. 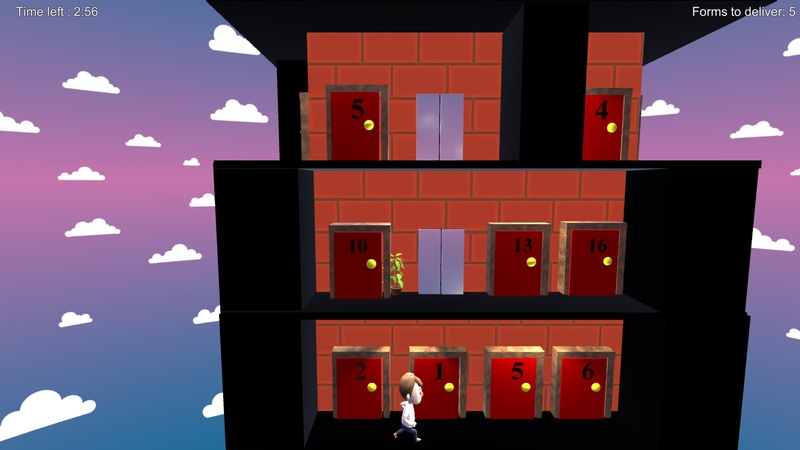 It's all about finding your way through the maze of doors that will lead you to multiples different paths around the building. 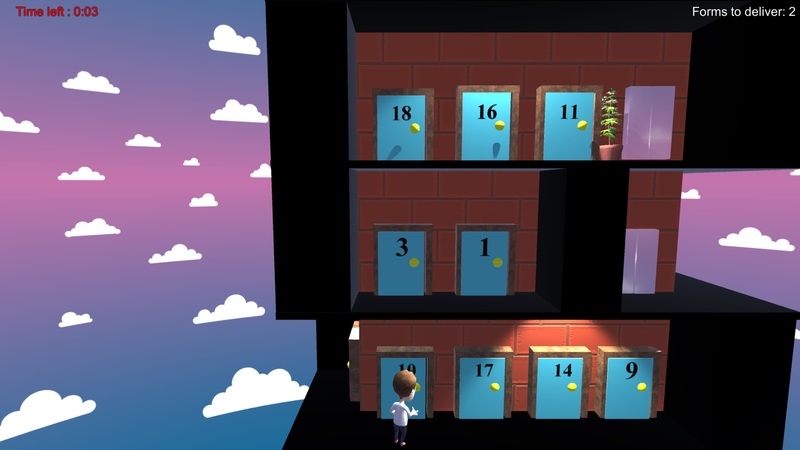 Each time you play the puzzle will be different because the order is randomly generated. Help Klerk the Cleck with his job so he won't get fired. In the first gamemode, you have 3 minutes to go deliver 5 different forms around the building. The doors you will need to reach will always change. 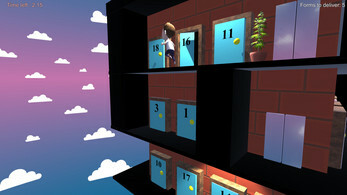 In the Survival Gamemode you will start with 30 seconds and each time you'll deliver a form you'll some bonus time. The goal is to try to your best to deliver as many form as possible. Good luck on your mission ! The game was made by : Jimmy Cao, Maxime Charland, Alexis Maher and Caroline Palardy.